Ever since I was first urged by a friend to see Pi at the ripe age of 13, Darren Aronofsky has been one of my favorite modern directors. With each film he makes, Aronofsky explores bodily mutilation, addiction, and obsession in nearly all of his works. While each film is thematically similar, he breaks enough new ground with every film he makes that it feels new each time. Even when he is not involved in every aspect, Aronofsky still feels like the auteur. 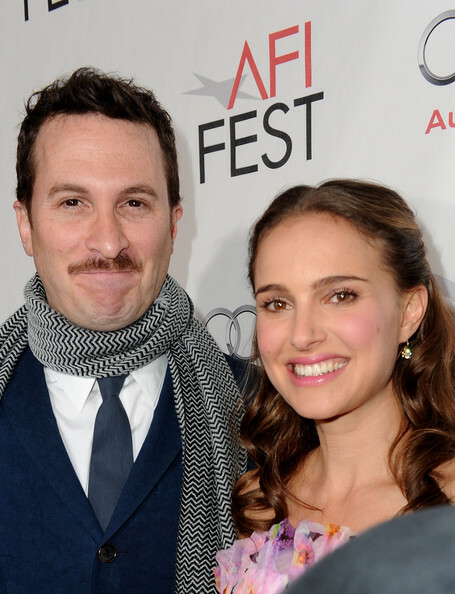 Also, you can thank him for allowing us to imagine Natalie Portman and Mila Kunis making out at will now. Even when he doesn’t completely hit, Aronofsky always deserves to be commended for his ambition. The Fountain takes place over the span of one millennium (probably), with many actors (including Hugh Jackman and Rachel Weisz) playing more than one role. It is ultimately about finding eternal life and at the same time, coming to terms with the inevitability of your own death. The Fountain is the ultimate love-it-or-hate-it. Like with Cloud Atlas and The Tree of Life, The Fountain is a film that enjoys bending space and time. The Fountain has a lot of ideas that ultimately come out as something of a muddle. In any other amateur’s hands, Pi would have just looked like some film student’s passion project where they equated black and white, silences, and quick cuts with “art.” Luckily, Darren Aronofsky adds some numbers and some Hasidic Jews for an impressive debut. Pi has the energy, brains, and confidence of a director with much more experience under his belt. It plays to its Eraserhead influences perfectly. A lot of the stuff in Pi doesn’t seem like it would make sense, but Pi shows the real reason that Aronofsky has been able to cross over into the mainstream: he can make mind boggling ideas simple yet fascinating to all viewers. Don’t let the title fool you: Requiem for a Dream is like watching a nightmare unfold but with no eject button in sight. Here is a film that follows the lives of various addicts that won’t make you feel enthralled by the end. That is to the film’s credit. We can talk about the darkness all we want. Or instead, we can also talk about the hilarious old Jewish ladies who sit outside their Brooklyn brownstones and gossip all day; they make Requiem for a Dream the nice slice of life that people rarely highlight when they discuss the film. Plus, Jared Leto, Ellen Burstyn, Jennifer Connelly, and Marlon Wayans went through significant body changes to replicate the experience of drug addiction. It was the first time that Aronofsky really experimented with the way people can harm their bodies just to gain one simple pleasure. Plus, Requiem for a Dream allows you to see a different, uh, side of Jennifer Connelly. This was a tough call. Black Swan was a close favorite and I actually wasn’t the biggest fan of The Wrestler when I first saw it (I just don’t think I was ready for the ending). Time has been kind to The Wrestler, and after multiple viewings I can declare that it is the best film that Darren Aronofsky has made so far. It is also his most personal one, even though he did not write it (that honor would go to Robert Siegel, who would go on to direct the highly underrated Big Fan). In The Wrestler, Mickey Rourke stars as Randy “The Ram” Robinson, a burned out former wrestler who desperately wants to make a comeback. The Wrestler is a series of emotional high notes. It hits every single one without blinking an eye. You will shed some tears when Rourke gives his “I’m an old, broken down piece of meat” speech on the abandoned Atlantic City Boardwalk. You will want to get up and dance as Rourke and Marisa Tomei sing and dance along to Guns N’ Roses (even if he does call Kurt Cobain “a p***y”). You will even laugh a few times (hey it’s Todd Barry! ), which is not something that usually happens during an Aronofsky joint. This entry was posted in Uncategorized and tagged Black Swan, Darren Aronofsky, Noah, Pi, Requiem for a Dream, The Fountain, The Wrestler on March 31, 2014 by ian0592.